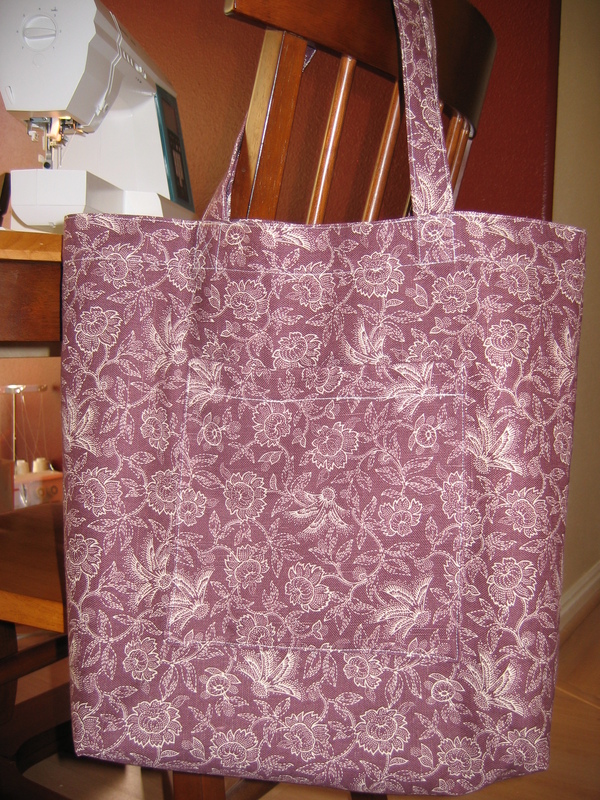 On 9/11/10, I posted a pattern for the Classic Tote…it finally came to fruition. 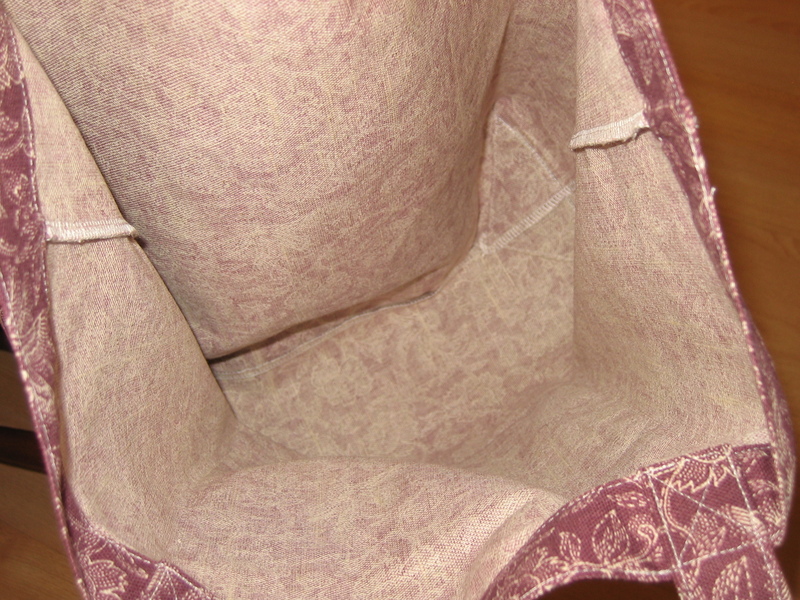 I used fabric that I had on hand — a plum colored home decor cotton. It has more weight/structure to it than a quilting fabric or calico so it will (hopefully) hold up a little bit better to every day wear and tear. I was surprised at how big and roomy the bag is when completed. This would work perfectly as a beach tote, a library book carrier or a simple overnight bag. The bottom has nice gussets in it, so it gives the bag a little big of structure and shape. This fabric isn’t stiff enough on its own to let the bag “stand” but that’s not a huge deal in my opinion. 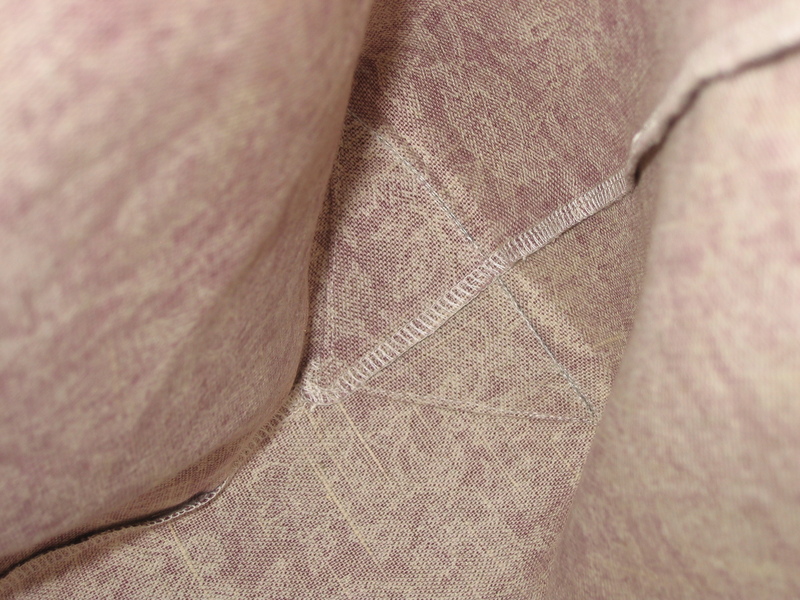 You could always add interfacing if you wanted it more rigid. Overall though, I was really pleased. Start to finish I was done within two hours and that included time outs to work on play-doh projects with the small one. I might try to make one a little smaller and see how I like it versus this size. Definitely a project to keep in mind for the future! This entry was posted in new creations by Stitch To Stitch. Bookmark the permalink.